You don’t have to be a pro developer to make your own games. This weekend alone over 7,000 new games were created by hobbyists and tinkerers taking part in Global Game Jam. For 48 hours, teams around the world put their heads together to design, develop and publish games based on the one-word challenge theme “waves”. Events like these are happening all the time, and the web is packed with free tools, tutorials , video guides and forums to get you started. Whether you're an experienced programmer looking for a new challenge, or you’ve never written a single word of code, there's no better time to begin your indie development adventures. These are our top picks for making your own games for free. If you’re completely new to games development, a drag and drop editor like Stencyl is a great place to start. The code is hidden behind a ‘what you see is what you get’ interface, with jigsaw-like chunks of programming logic that can be snapped together to build games like these. When you first boot Stencyl up, it’ll ask you if you want to start their crash course. This free kit comes complete with an animated player character called Noni, a friendly looking clown enemy, and a tileset to build your first 2D level. There are also sounds and a set of behaviours that handle the game logic. 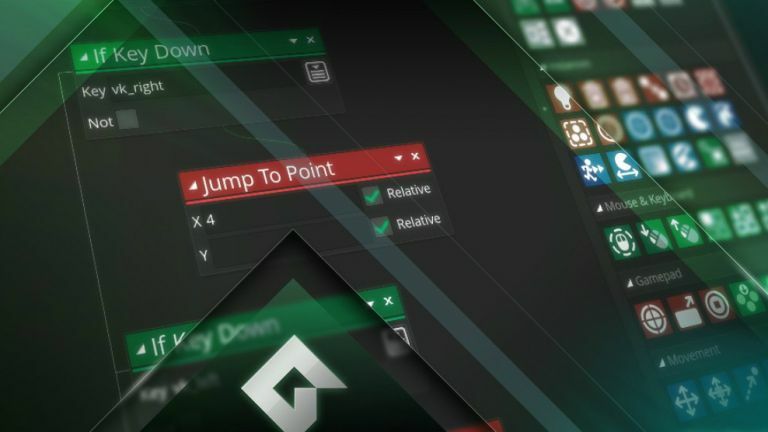 The behaviours are your clip-together programming chunks, and they come with handy drop-down menus that allow you mess with things like keyboard inputs, player speed and in-game gravity without ever having to see the underlying code (unless you want to). The online tutorial walks you through slowly, and you’ll be stomping on clowns in no time. And, with the in-depth Stencylpedia at your fingertips, you can quickly get stuck in to development for iOS, Android, Windows, Mac, Linux, Flash and HTML5. Inkle Studios are the developers behind the hit mobile text adventures 80 days and Sorcery! Their ink scripting language is easy to pick up, allowing writers to create their own branching narratives quickly and easily. If old-school adventures are your thing, this is a great place to begin. YoYo games want to make game development as slick and streamlined as possible, and GameMaker Studio does just that. Like Stencyl, it has a drag and drop interface that allows you to build code block by block with no programming experience. This is a powerful game making tool built on events and actions. When an event, like a button press or a collision, happens, the game performs an action, like moving the player or triggering a sound. It comes stuffed with pre-made actions that you can simply snap together or, if you’re feeling more adventurous, you can write your own using GML (Game Maker Language). GML is much simpler to learn than languages like C++ or Java, and there are well-paced online tutorials to walk you through the basics until you find your feet. This video guide to building your own asteroids clone is a good place to start. There are limits to what you can achieve with the free version, but it’s a great place to learn. And with the full studio, you can create games that play across multiple platforms, including Android, HTML5, iOS, OS X, PS4, PS3, PS Vita, Ubuntu, Xbox One, Windows 8, Windows Phone 8 and Windows RT. If want to make games on the go, right in your web browser, try PlayCanvas. Simply create an account and dive straight in to a ball rolling tutorial. If you’re looking for professional quality games development with dozens of features to tinker with and a thriving online community, Unity should be your first port of call. Not for the faint of heart, this is a complicated engine that takes a while to understand, but the rewards when you do are immense. The engine is the powerhouse behind top quality releases like LaraCroft GO by Square Enix Montreal and Max: The Curse of Brotherhood by Press Play. It allows you to create 2D and 3D games for multiple platforms, with realistic physics, beautiful lighting and custom trees that waft in the wind. This ‘roll-a-ball’ tutorial will get you started, and once you’re comfortable you can delve through the online manual to find easy to digest chunks of information about each of Unity's features. And if you’re looking for some step-by-step scripting tuition, check out the free classes over at Codecademy. The Unreal Engine by Epic Games is the engine behind AAA titles like Bioshock Infinite, Mass Effect 3 and Gears of War 4. And, almost unbelievably, it’s completely free to download and use. Once you’re set up with your new engine, you’ll need art and sounds to bring your games to life, and there’s free software for that too.